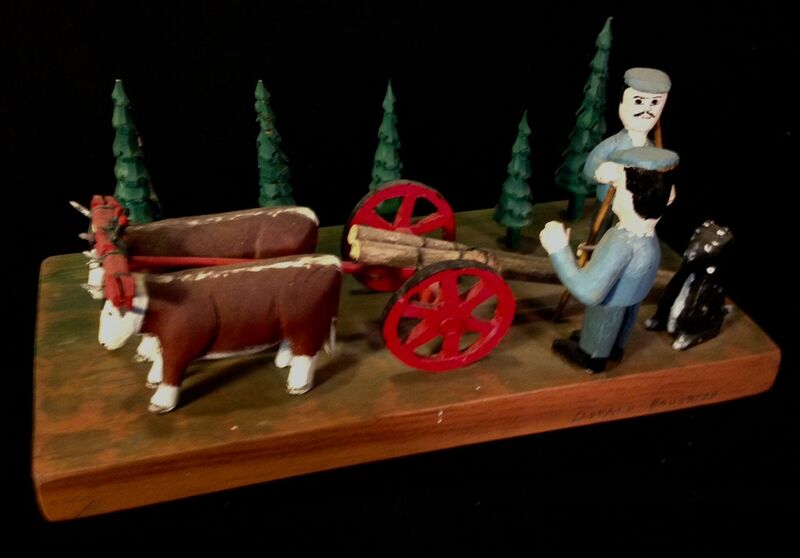 This is a very fine, highly detailed scene of a couple of loggers, at work in the woods with their trusty pair of Oxen, and their faithful dog. 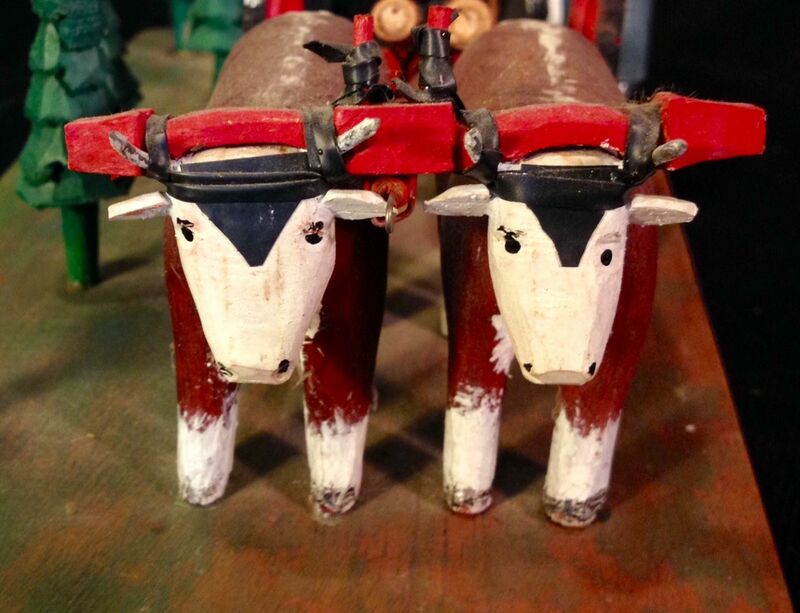 By listed Nova Scotia artist Donald Boudreau,(1917-2000). Signed in pencil on the side and labelled on the bottom. Dated 1987. 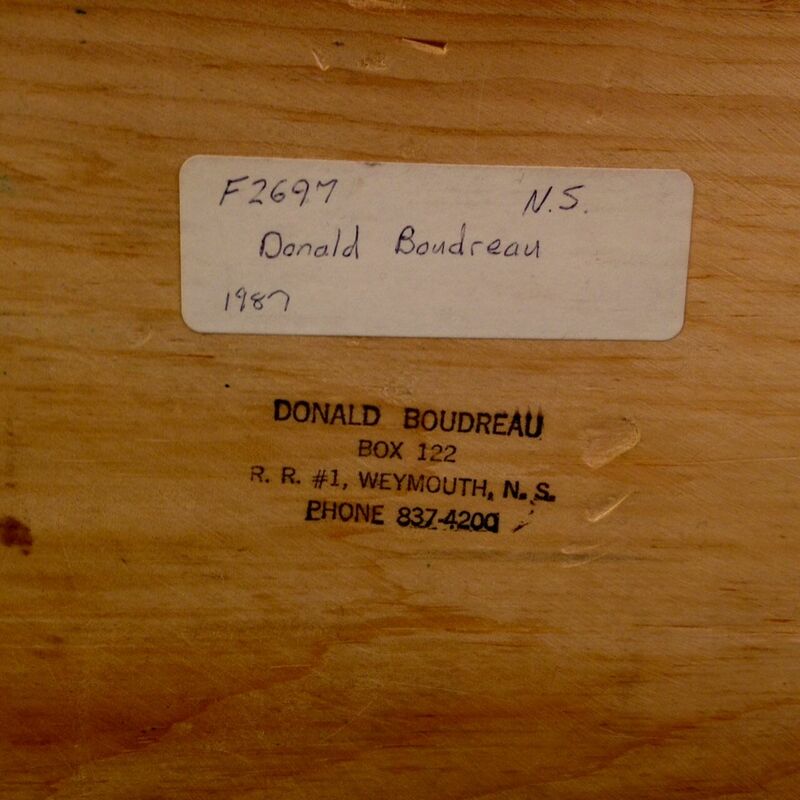 A lifelong resident of St. Bernards, Nova Scotia, Boudreau's work has been featured in From the Heart, and is included in the collections of the Art Gallery of Nova Scotia and the Canadian Museum of Civilization. 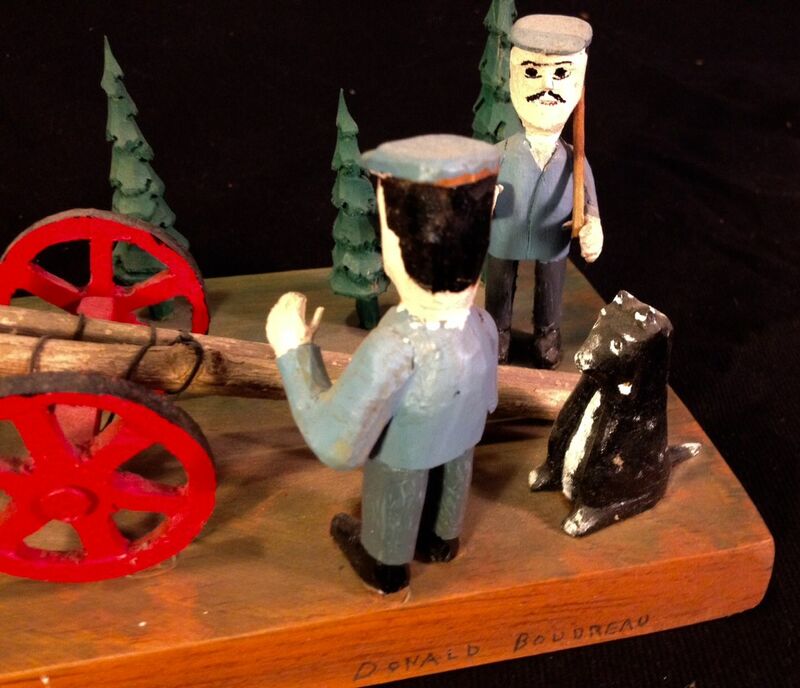 He was very accomplished and produced work on many subjects including life sized figures, right down to these tiny scenes of Nova Scotia life. In excellent condition. 10 1/4" wide, 5 1/4" deep, 4 1/2" tall.